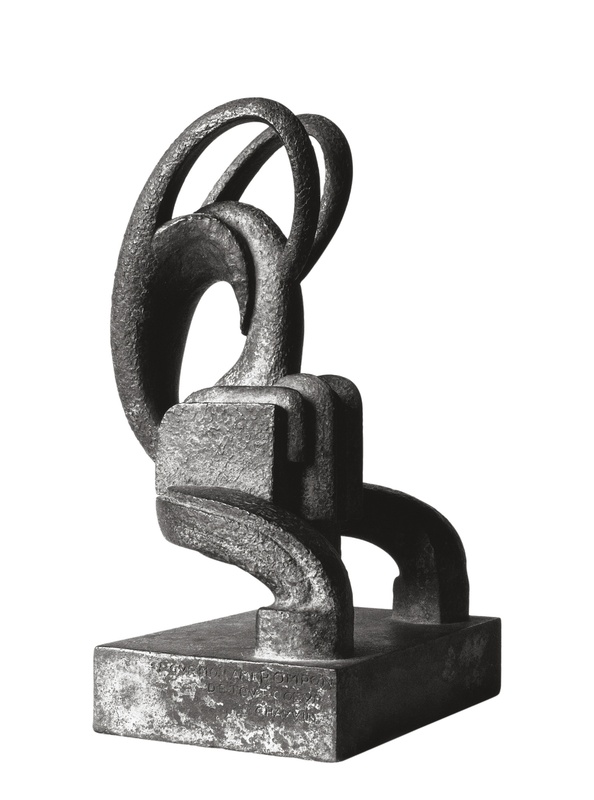 In modern sculpture of the post-war period, Chauvin was regarded as the founder of a new language, alongside Brancusi or Arp. From 1915 to the end of his life, Chauvin’s work shows a strong esthetic unity, a style that is clearly identifiable and recognizable; it is no less true, however, that is includes profound internal differences in its relation to representation. Some sculptures remain strictly figurative, even though the relation is free and quite remote from the mimetic ambitions harbored by the artists of Antiquity and, later, by those of the Renaissance; other sculptures, more numerous and, in our view, more significant, bespeak the exploration of a new kind of rapport with the real, a rapport stemming from abstract art. 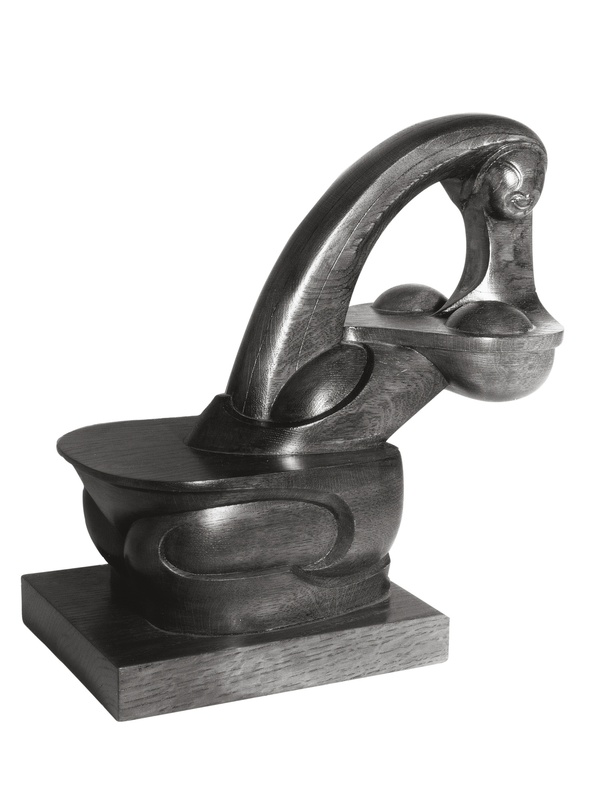 Between the two groups are a few sculptures whose abstract form does not preclude a type of evocativeness and suggestiveness that binds them tightly to the physical reality of the world. Chauvin invented a language of his own — an idiolect, as linguists would say — a personal language, functioning according to the rules natural to a particular individual, a language that both seeks and rejects understanding. 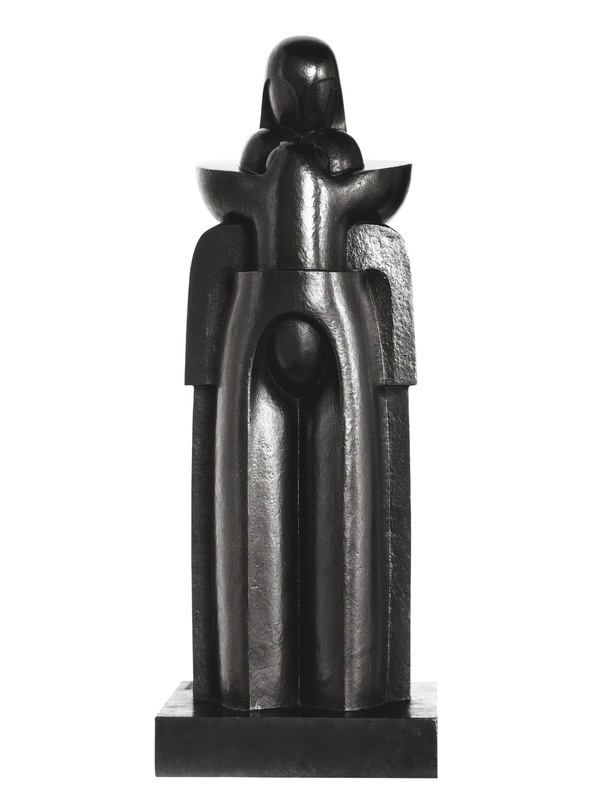 In many of Chauvin’s sculptures, especially after 1945, we find formal motifs that are to the visual world what words are to the linguistic. In the art of the twentieth century, Jean Chauvin remains a figure both exceptional and essential. His work is particularly relevant and resonant in a period such as ours, as we attempt to arrive at a general assessment of the whole century — a century that was much more multiform than has long been claimed. Collection: Tel Aviv Muséum of Art, Israël. Un exemplaire:Collection: Fondation Le Corbusier, Paris. Un second dédicacé "Pour mon ami Pompon de tout cœur" Collection P.M. Paris.